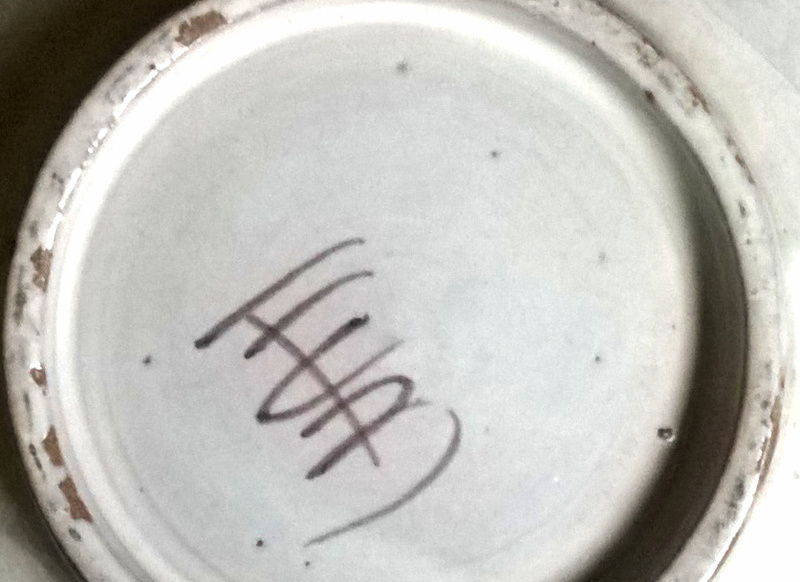 I've this pottery bowl (diameter around 40 cm), I can't ID the mark. it appears to be a visual joke about evolution? Thanks Naomi, it's really a "strange" (but nice) piece. 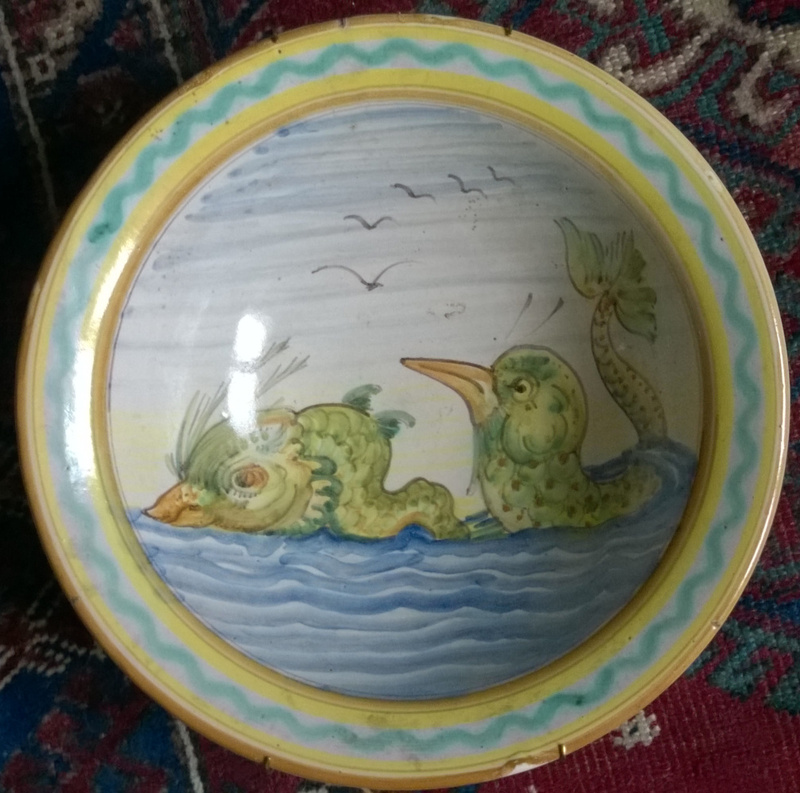 Hello, I think this may be Spanish tin glazed majolica. The colouring looks similar to some 19th and early 20th century pieces. Looks like an F C B mark to me!! Ha Ha, No, by the way the brush strokes are done, it probably is FCB. Thanks to all for sharing your ideas.